It’s not the best line to bring to a corporate event, granted. But we aren’t the conformists, we don’t sell out and we don’t wear shoes for just any body. Not even ambassadors and trade delegates. Let’s not even mention suit and jacket. Oh yes, there is a story behind this and it is backed by an ethos and a belief in our core values. 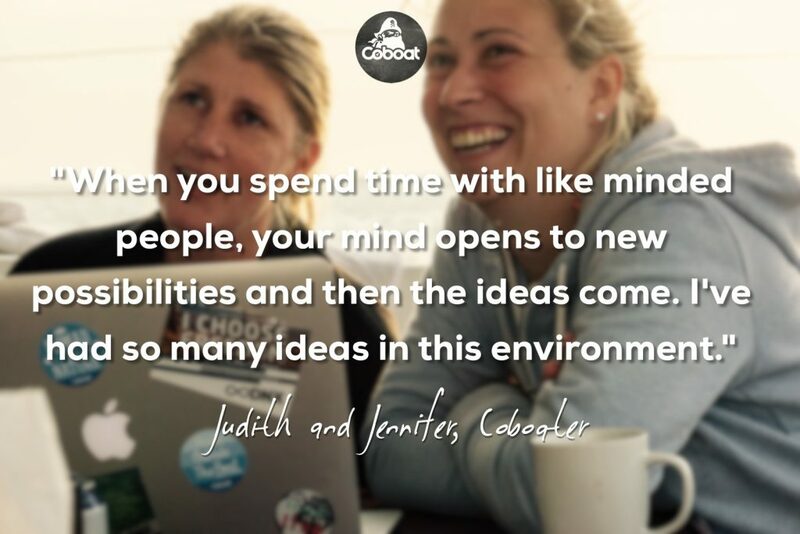 Over the last week the Coboat team have explored, or more specifically re-explored our reason for creating Coboat. We have questioned ourselves and questioned our project. 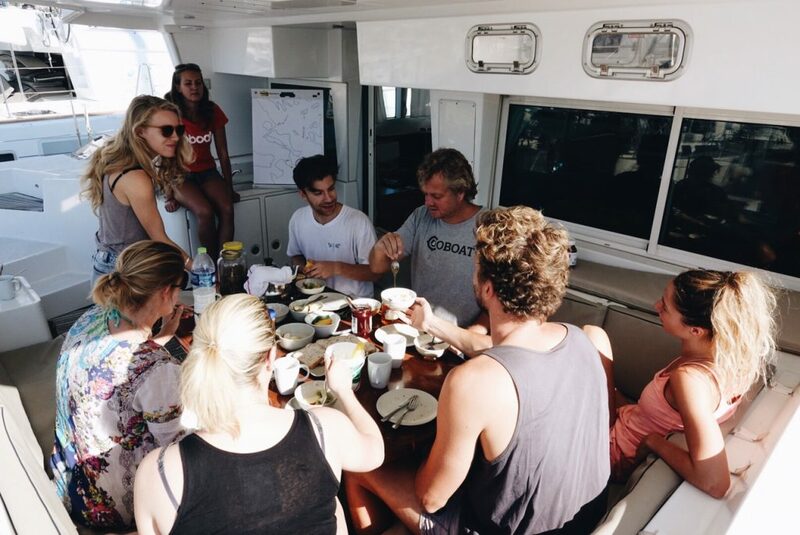 We defined our DNA – the things that make Coboat different from any other coworking experience. 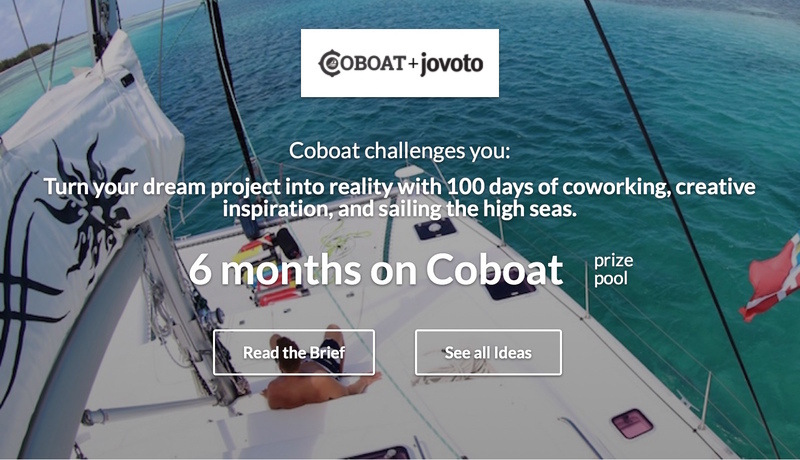 We explored what it means to be a Coboater, what we stand for and what we bring to the world. We came away excited beyond belief! This weeks TEDspiration struck a chord with the whole team. 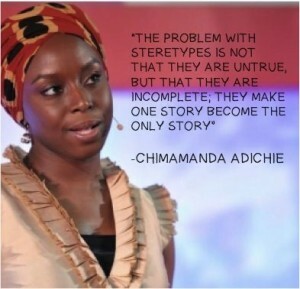 Chimamanda beautifully and humbly educates us all on the danger of the single story, how we have all at some point played our part in stereotyping each other. 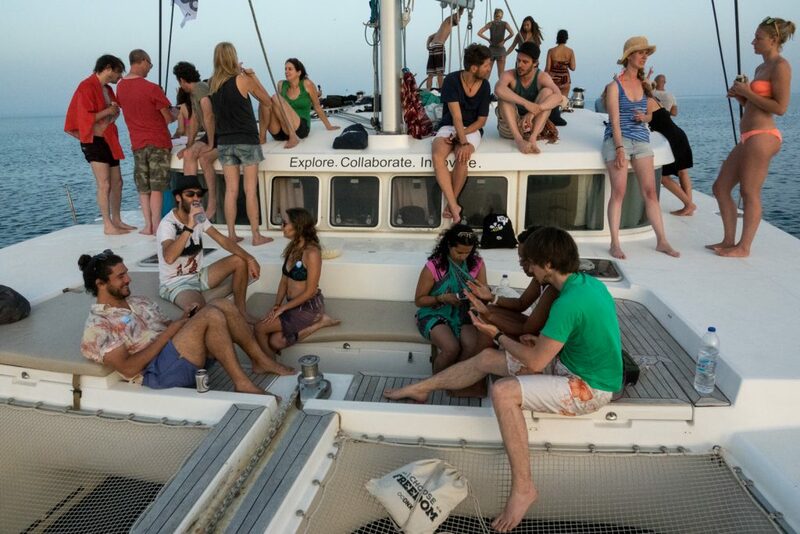 And then on a Wednesday evening we rocked into our favourite “great wifi with food” establishment to find a corporate event in full swing with all the big guns in the super yacht industry as well as representatives from the Australian Embassy and even finger food! All the hallmarks of a big deal. And then came the tap. On the shoulder of the Establishment’s Manager. 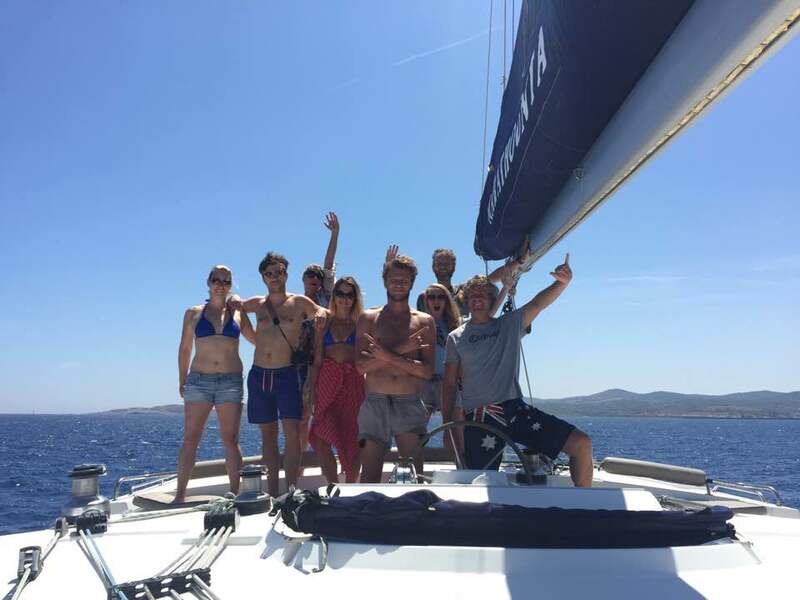 “Who’s that in the tee shirt with no shoes?” Standing 196cm in bare feet with his wild hair, and wilder eyebrows, Karsten, our fearless Coboat leader, cuts through the crowd. He hasn’t worn shoes for three years – the dude has sole. Now when the cream of the yachting world and trade delegates start asking questions about shoes, you know you’ve made an impact. But exactly what that impact was, we’re not quite sure because the opportunity to explore the answer was sadly lost. The Establishment’s Manager, who has accommodated us for months in our bare feet and teeshirts, has laughed and joked with us and helped us often, looked around. And in the sea of conforming long sleeve white shirts, beige pants and dress shoes, all they saw was a blue teeshirt and… well, size 44 bare feet. The response came straight from the amygdala, from the brain’s ancient limbic system. You see, the Establishment had a single story in their head – teeshirt and bare feet are bad. Standing out is bad. Non-conforming is bad. Different is bad. Bad is bad for a fancy event. There is only one way to dress for a serious soiree, and only conforming people can contribute. People wearing white and beige only want to talk with other people wearing white and beige. Stuck with that single story, an opportunity was lost. 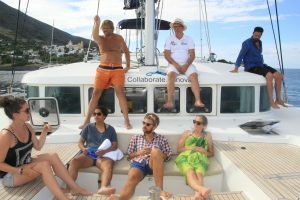 The event was for networking amongst the yachting community, to bring together industry players and the guys at the helm. 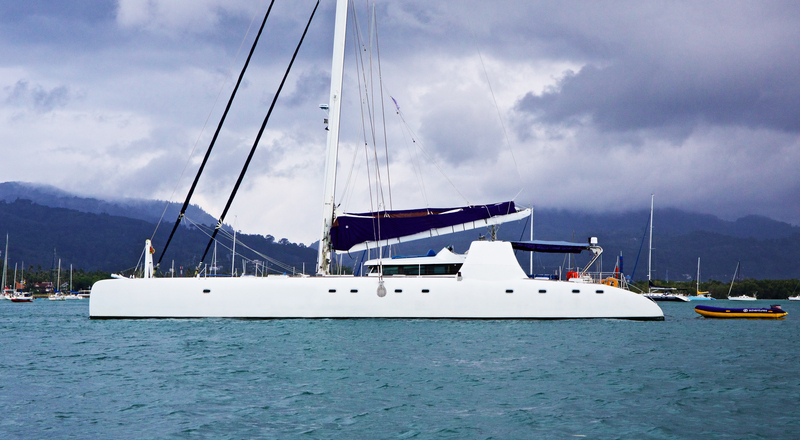 We could have talked about the most innovative yachting project in Thailand. 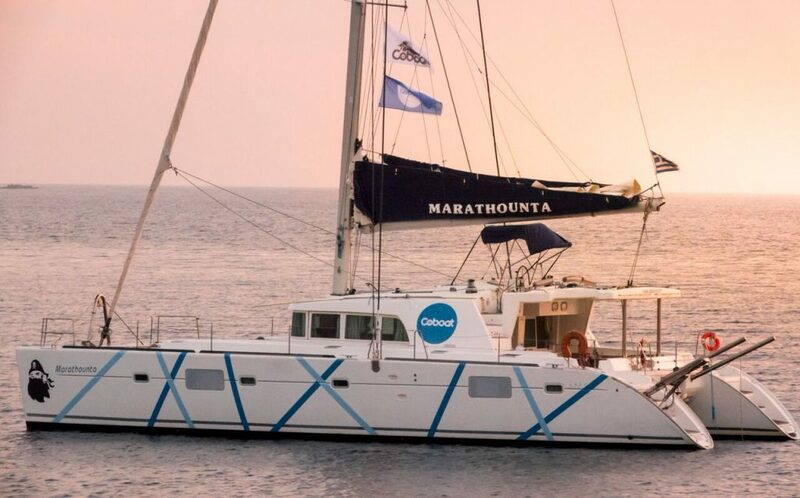 We could have explored sustainability on and around the water, and a Coboat project to save the oceans from plastic. 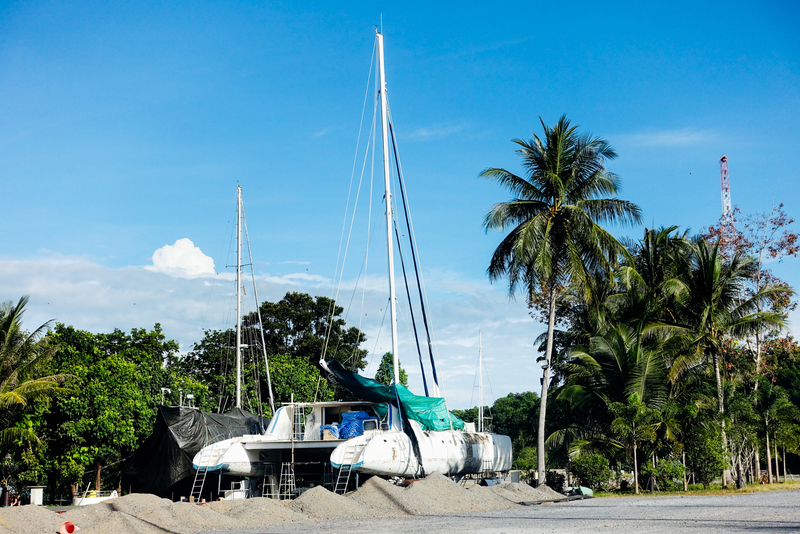 We could have collaborated about social responsibility and a greener future for yachting. We could have imagineered a bluer future for our oceans. The next big thing could have emerged. The potential was huge. But the existence of a single story, about dressing up, limited us all. And we are poorer for it. This week we experienced the limitation of a single story. 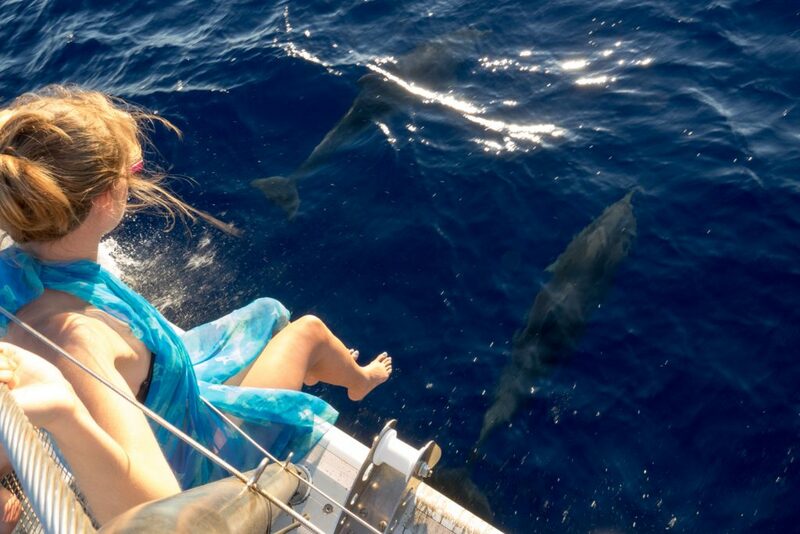 We will remember it when we are back at our favourite establishment drinking coconuts and ice cappuccinos…in bare feet. And we will remember it as we create and engage with our global community. 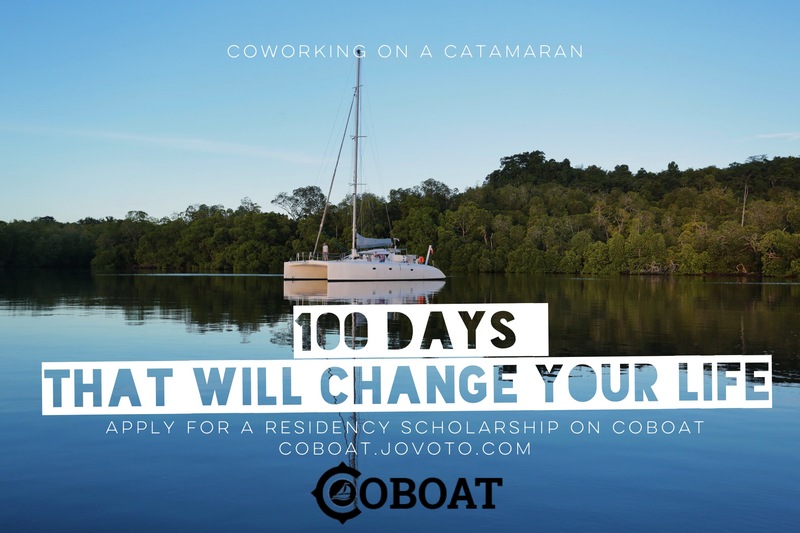 Coboat. We are not a single story. Having arrived this week, the team opened the Oceanvolt crates and checked the engine size and components. Four electric engines will be installed instead of the normal two diesel engines. If you are an engine geek and interested in the performance of the electric engines watch this video. In the meantime holes were drilled in the general vicinity of the engine positions, so Stefan could inspect the hulls and see the actual thickness of the them in that area. He discovered them full of water. So this must be drained and the hulls dried out before the engines can be fitted. Extra holes were drilled near the mount locations for engines to speed up the drying process. Once dried, the fibreglass reinforcement can begin in preparation for the Oceanvolt engines to be installed. 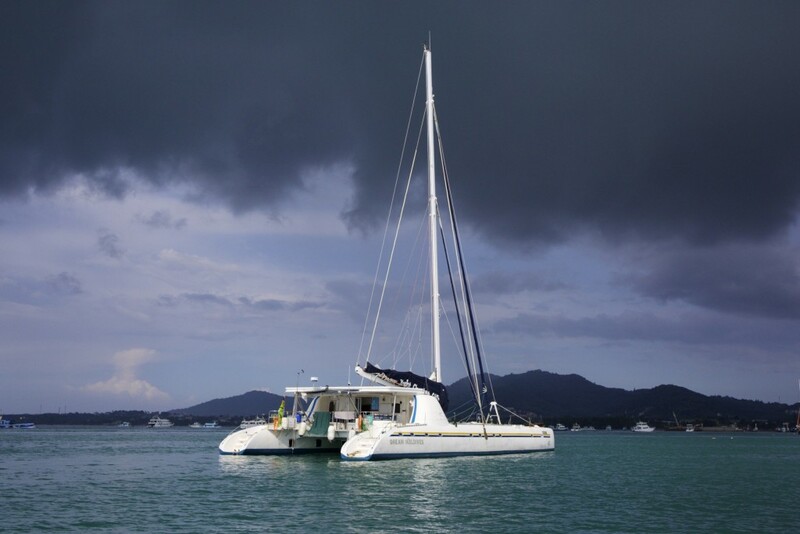 So lots of holes, unexpected flooding and the start of the Oceanvolt journey with Coboat. In other news all the pumps are out being serviced; six pumps in total both sea and water fresh. 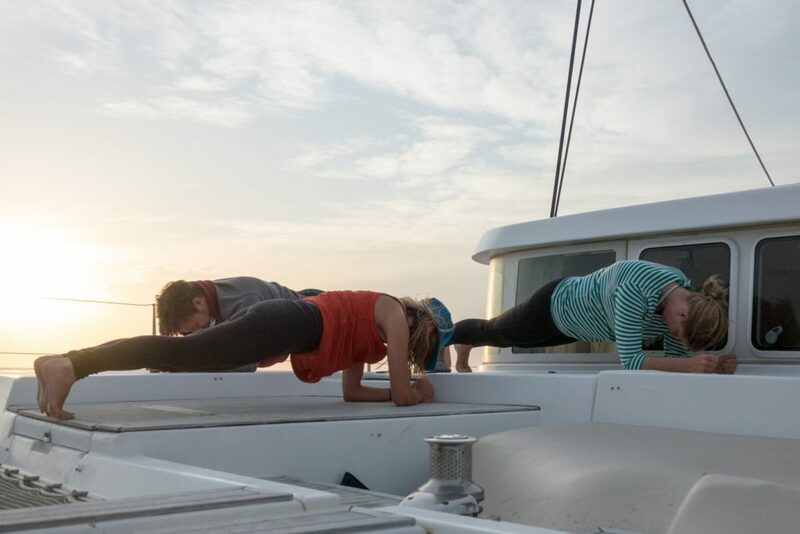 The Aft deck expansion has completed and it is now more than 15 sqm bigger, lots of space to dine, gather and do yoga. 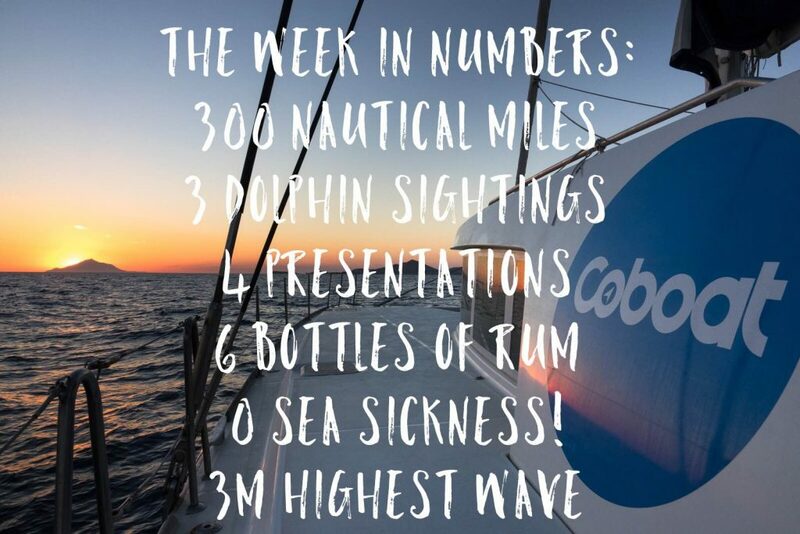 What challenges have we faced this week? Apart from the flooded hulls, Stefan identified areas of damp in the skin of the boat which indicated rotting wood was present. This has been caused by poorly installed railings which meant water has been seeping through over the years. And we didn’t even need to strip the outer layer to see this. That’s what 45 years experience can bring! Grateful to have identified this now. The cabins are next on the list to be completed; eight guest and two crew cabins between two and four two bunks being fitted in each.